When a Washington Post reporter broke the news last week that the abortion mega-provider Planned Parenthood is under investigation by Rep. Cliff Stearns and the House Committee on Energy and Commerce, Americans United for Life was quickly at the center of the debate as a result of AUL’s ground-breaking report, “The Case for Investigating Planned Parenthood,” released in July. 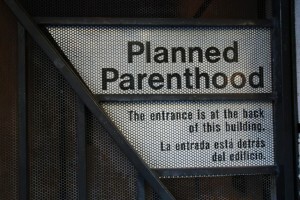 Planned Parenthood and its allies immediately went on the attack. Planned Parenthood President Cecile Richards’ first response was to claim that this effort was pure politics and that no improprieties had taken place. The need for a Congressional investigation to monitor the more than $360 million in annual taxpayer funding to Planned Parenthood and to examine certain Planned Parenthood internal practices became a key issue as hostile media went on the attack. But public accountability for public funds has been much on the mind of Congress of late. On MSBNC Saturday, reporters from left-leaning publications tried to assert that there were not enough financial irregularities to justify the investigation and that poor women and girls would be hurt if Planned Parenthood was cut off the public dole. But in a Friday Washington Times opinion piece, AUL’s Vice President of Legal Affairs Denise Burke detailed how poor women and girls truly receive their medical care – without the help of the nation’s largest abortion provider. Click here to read the entire article. To watch Dr. Yoest on MSBNC Saturday, click here. To read further analysis from AUL’s premier legal team regarding this long-overdue investigation, click here. Americans United for Life (AUL) is a nonprofit, public-interest law and policy organization whose vision is a nation in which everyone is welcomed in life and protected in law. The first national pro-life organization in America, AUL has been committed to defending human life through vigorous judicial, legislative, and educational efforts at both the federal and state levels since 1971. The Wall Street Journal has profiled AUL, and PBS' Frontline program chronicled AUL's successful efforts in Mississippi.